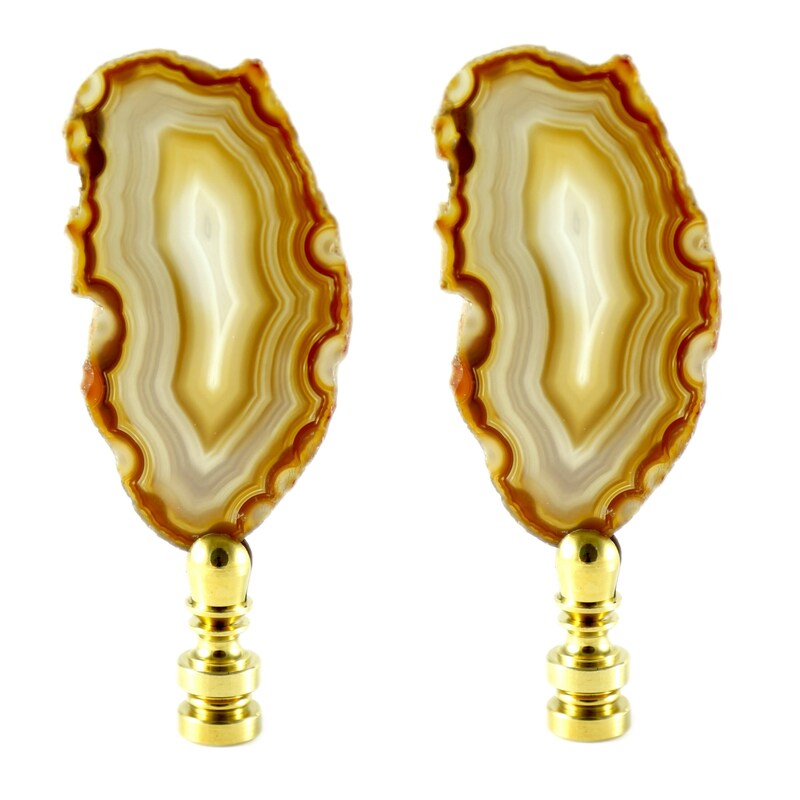 This natural agate lamp finial set will add instant grandness to your living room, bedroom or entryway. Each stone has natural variations, but we will try our best to match them! Beautiful, fast ship. Thank you!